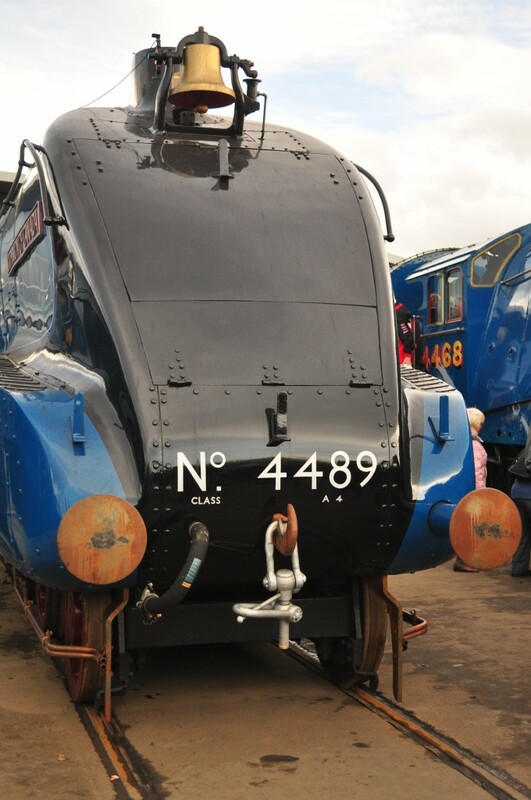 Mallard 75 has brought together the 6 remaining LNER A4 pacific locomotives. With two of these set to depart to North America, all 6 are very unlikely to be seen together again and over the last week (15-23 February 2014) The Shildon Annexe of the National Railway Museum has hosted the Great Goodbye. I took the opportunity to visit this historic assembly of locomotives this afternoon, before Dominion of Canada and Dwight D Eisenhower recross the Atlantic. Union of South Africa is restored in the condition she ran in for British railways when allocated to Edinburgh Haymarket shed in the 1960s. The two north american visitors were present, but not in steam. Since arriving in the UK in early 2013, Dominion of Canada has been cosmetically restored to the condition she appeared in for LNER in 1936. 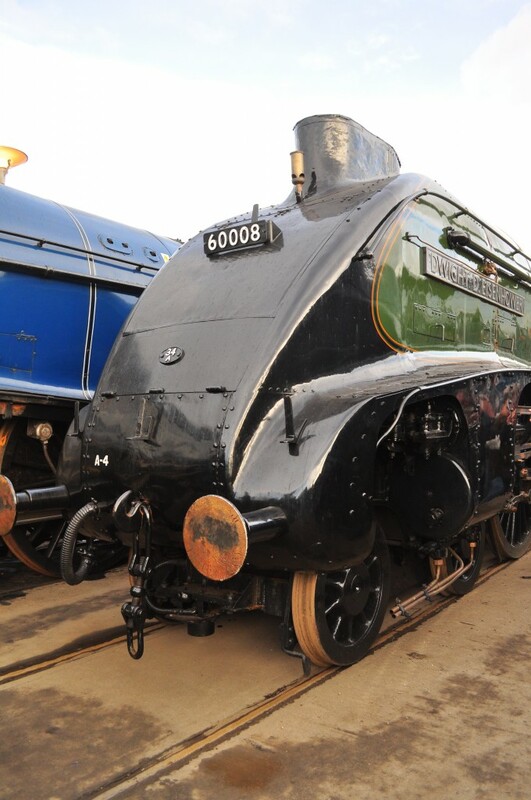 Dominion was the engine that hauled the inaugural Coronation streamlined train and has been finished with the chrome LNER lettering that was special to the 5 empire named engines that initially hauled these trains. The engine is the only one of these 6 engines with a single chimney as originally fitted to the class. 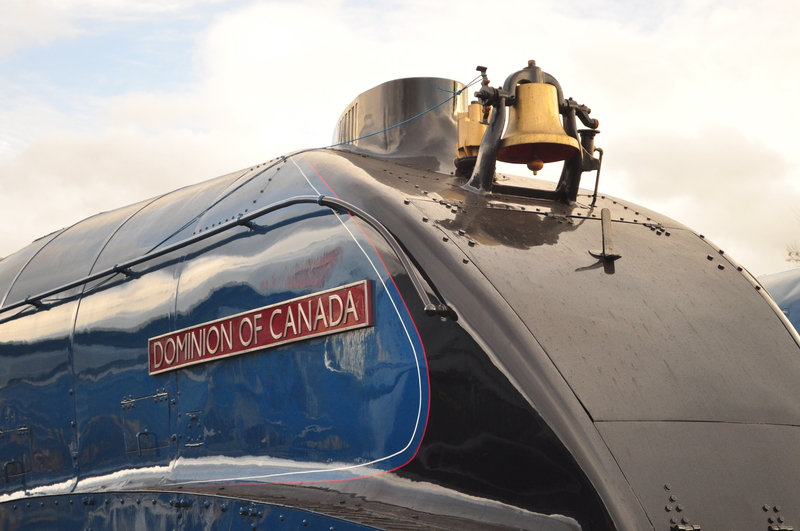 Dominion of Canada is easily identified by the steam operated Canadian Pacific Railway bell fitted in front of the chimney. Behind the bell is the Canadian Pacific Railway issue whistle which was fitted on 15 July 1937 for the unveiling and naming. Both Dominion of Canada and Bittern ended their operational days in Scotland on the Three Hour ex Expresses between Aberdeen and Glasgow. Ive always had a liking for Bittern, having worked at ICI plc Wilton petrochemicals complex at the time Bittern was being restored in the ICI workshops. 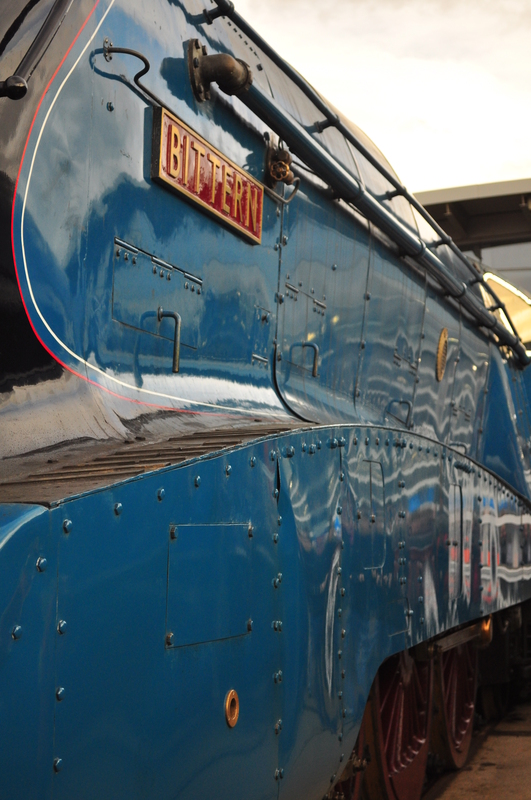 The A4 named after its designer, Sir Nigel Gresley was on display in early BR blue. 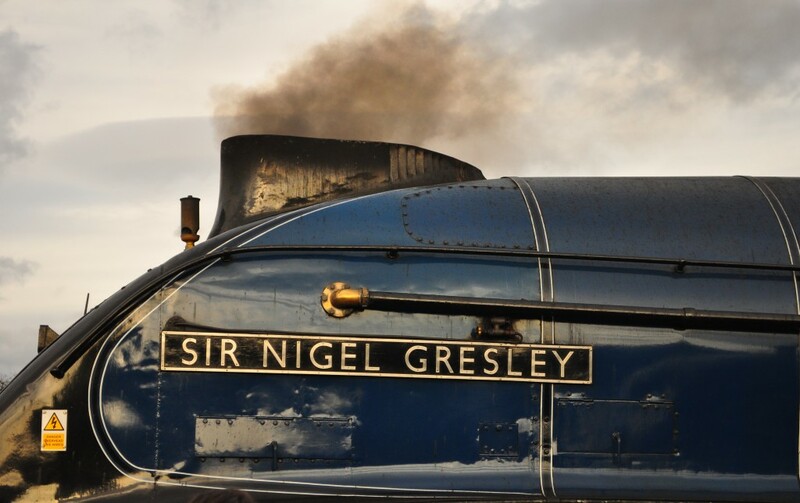 While the whole event celebrates Mallard’s world record of 75 years ago, its worth remembering that Sir Nigel holds the post war steam speed record at 112 mph. 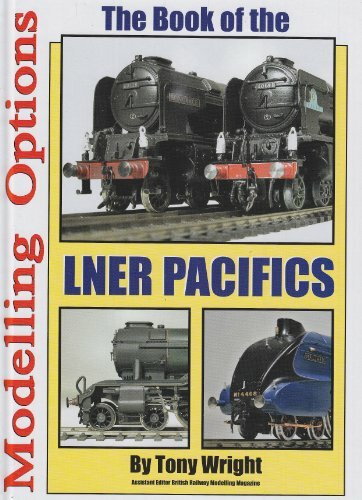 All in all it was a very enjoyable afternoon, and I returned home with a copy of Tony Wright’s book Modelling Options: the Book of the LNER Pacifics. As historic events go, this was one to remember. My last visit to Shildon was 1975 for the steam cavalcade at Stockton and Darlington railway 150 celebrations, another one off event of historical greatness. 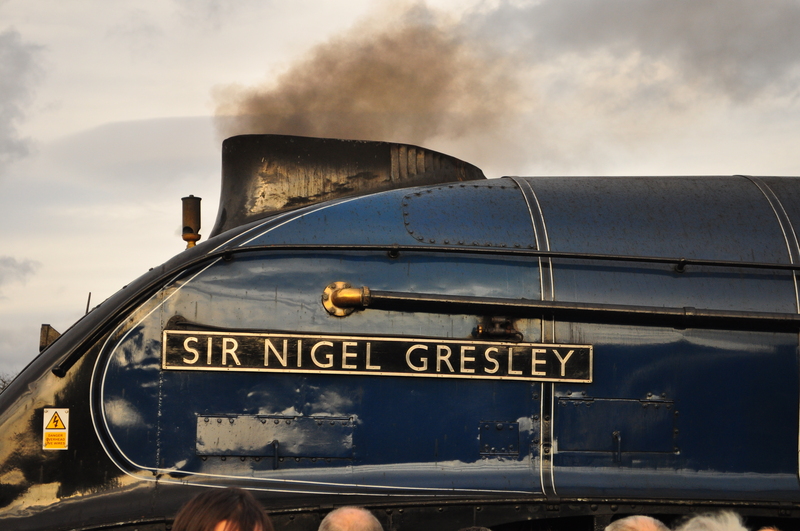 I hope I don’t have to wait until 2025 for the next great steam spectacle at Shildon. 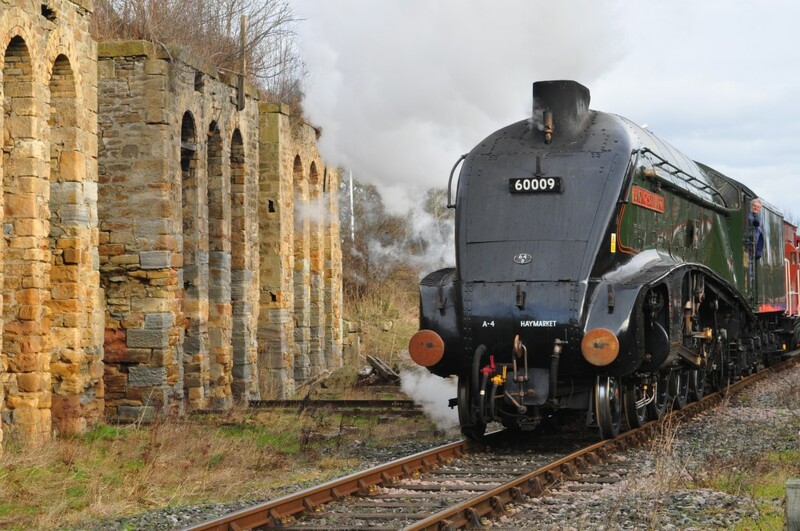 NextWaverley Route to reopen to Carlisle?